Crafters Companion > Blog > Upcoming Crafternoon & Our first Christmas Fair! Upcoming Crafternoon & Our first Christmas Fair! Hello Crafters! We can’t wait to tell you all about our Christmas fair and plans for the Crafternoon! What a weekend we have had here at the Aycliffe store! The fabulous Leonie Pujol was in our store demonstrating. We all had the chance to watch and learn about some fantastic creations and learn some new crafting techniques. Here is some of the photos, from our fun filled crafty weekend! On the 9th of December , here at our Aycliffe Store will be hosting a Crafternoon. Here in store we are so excited to get crafting with our customers. 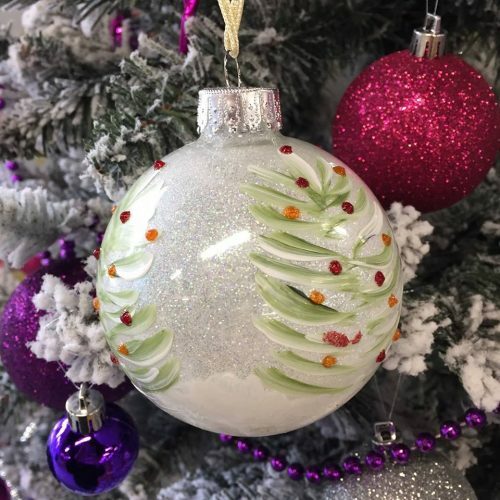 We have some fantastic members of staff who are full of knowledge and skills , to help you create some Christmas craft pieces. Our crafternoon is being held to help raise money for the charity mind ( psst! if you register on our booking page , you will receive on of our goodie bags!). We also have our Christmas fair here at the Aycliffe store on Sunday 11th December. We have a total of eight stalls, each selling everything from cards, paper craft to hand sewn and embroidered items as well as some great knitted items and cakes. This year we also selling some of our craft pieces that our lovely demonstrators have made. All proceeds made from our stall will go to our Crafter’s Companion Charity Foundation, which then helps other local charities. We can now also confirm that Santa will also be visiting our store! You can book in store or through our booking page If your little ones would like to meet Santa and let him know there Christmas wishes and its just £2 per child. How exciting. Our craft fair will be a fun filled day for all! We also have another release we want to let you know about. Tonight on Hochanda , new colourista stamps and card blanks will be shown and available to purchase from 8pm! Hochanda is brilliant for seeing brand new products demonstrated right in front of you! Brilliant for those who cannot make it to any of our stores demo-days . This coming Wednesday ( 14th December ) Debbie Shore alphabet stencils will also be back in stock from 8pm, great news for those customers that missed out on purchasing these products last time. Happy Crafting – from the team here at the Crafter’s Companion Aycliffe Store!